The leaves are changing, and throughout the next week, communities in the Geist area will celebrate Halloween and the autumn season with a variety of events. In Lawrence, the city’s annual Fall Festival will take place Oct. 27. Highlighted by its costume contest, families come out in droves to participate in the Lawrence Parks and Recreation-organized event at Lawrence Community Park, 5301 N. Franklin Rd., which has been celebrated for more than 30 years. Parks Director Eric Martin said the costume contest is traditionally geared toward kids, but adults also can take part in the adult division. Kids divisions are split into age groups – infant to 3, 4 to 5, 6 to 7, 8 to 10, 11 to 12 and 13 and older. Registration begins at 5:30 p.m.
Martin said the local senior citizens organization also will give out hot dogs and chili for attendees, at no cost, while supplies last. Admission is free. 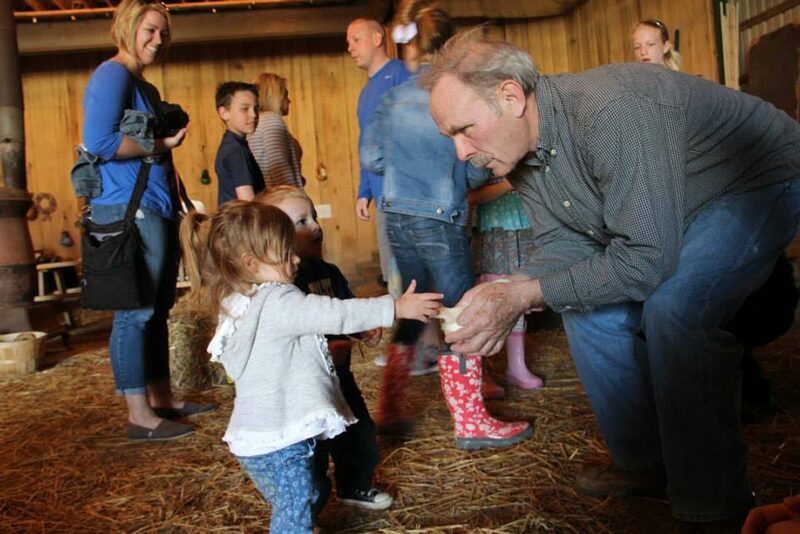 Piney Acres owner Rex Zenor greets children and lets them pet one of the farm’s chickens. 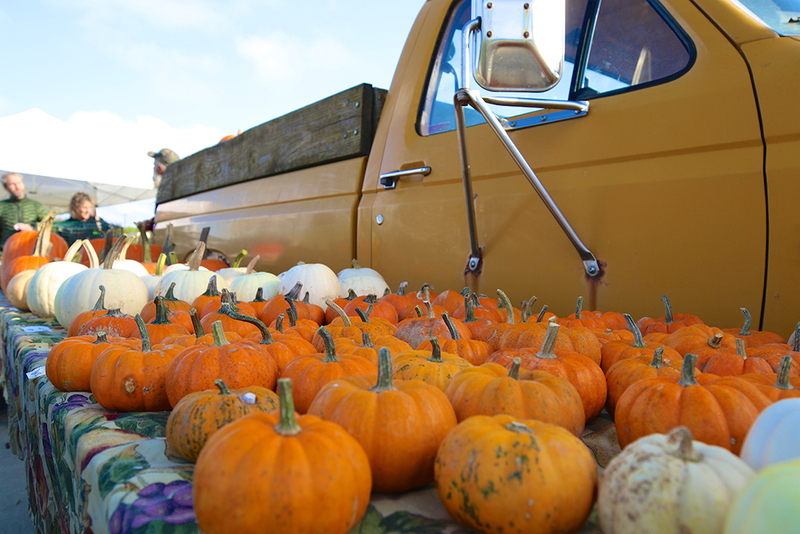 Piney Acres Farm in Fortville is celebrating its 12th fall season, opening up its 73-acre farm for local families. In addition to a pumpkin patch and hay rides, owner Rex Zenor has worked through the years to add apple cannons, barnyard animals, duck races and an expansive kids zone. The kids zone includes a spider-climbing net, rock wall climbs, a cow barrel train, rope maze, jump pad, pedal carts, a zombie shooting game, pumpkin bowling corn hole, horse shoes, a fishing game, gem mining and more to the farm’s list of attractions. For adults, the Piney Acres also opens ScreamFarm in the evenings, a haunted house with three attractions: The Haunted Loft, a haunted hayride and a 6-acre haunted trail. Piney Acres is at 1115 E. 1000 N., Fortville. All day play passes for the fall farm are $12 anyone 3 and older. Kids who can walk to age 2 are $5. For more, visit pineyacresfarm.com. During Fortville’s Treats on Main event, kids can visit local shops along Main Street for trick-or-treating. 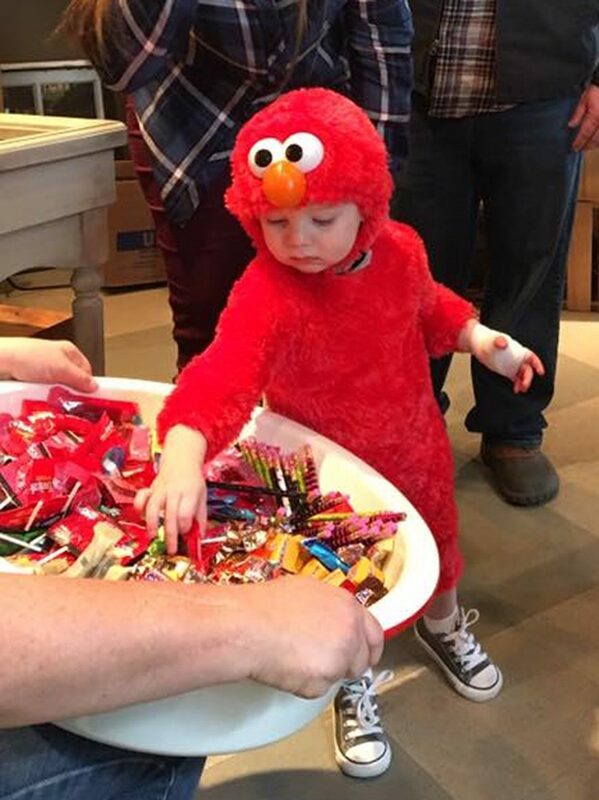 Also in Fortville, shops on Main Street are celebrating the season with the Treats on Main event, inviting children to trick or treat in the heart of the town at local businesses and restaurants. Kids and families can dress up and stop in stores along the street to collect candy from 10 a.m. to 2 p.m. Oct. 27. 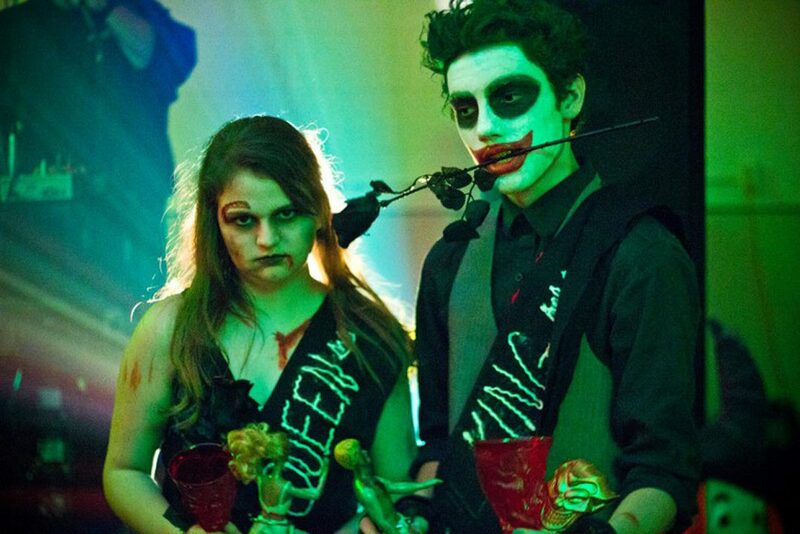 The annual Zombie Prom will take place Oct. 27 at Ten West Center for the Arts. Ten West Center for the Arts in Fortville will again host its annual Zombie Prom from 8:30 to 11 p.m. Oct. 27. This is the fourth year for the event and is open to all ages. Attendees are encouraged to dress in both prom and zombie attire. The evening also will include a costume contest and prizes in multiple categories, a DJ, hors d’eouvres, mocktails and more.Tickets are $10 per person or $15 per couple. For tickets and more information, visit tenwestcenter.org. 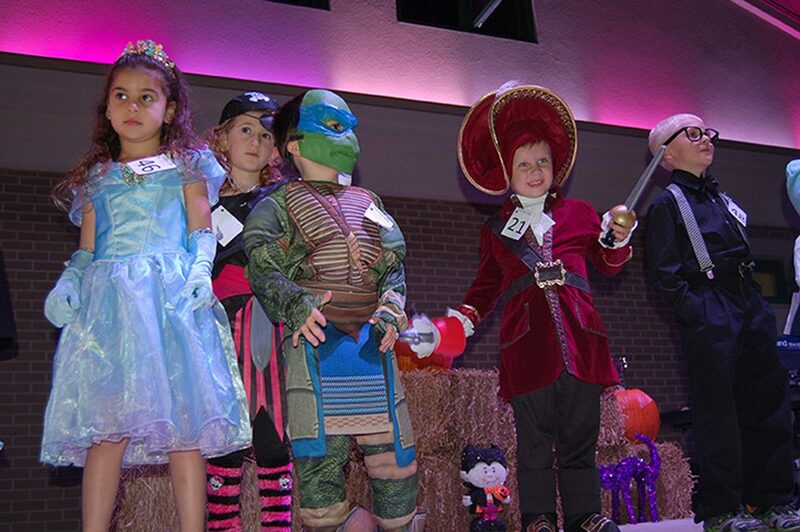 Children take part in a past year’s costume contest at Fishers’ Boo Bash. More than 50 vendor booths will be on-site at the Central Green in the Nickel Plate District of Fishers for its annual Boo Bash celebration Oct. 26. Live entertainment and giveaways will be features alongside the event’s annual costume contest, which takes place beforehand. To enter, visit playfishers.com/175/digital-costume-contest. New this year is a pet division of the costume contest. The best pet costume will win a gift basket. For more, visit playfishers.com.